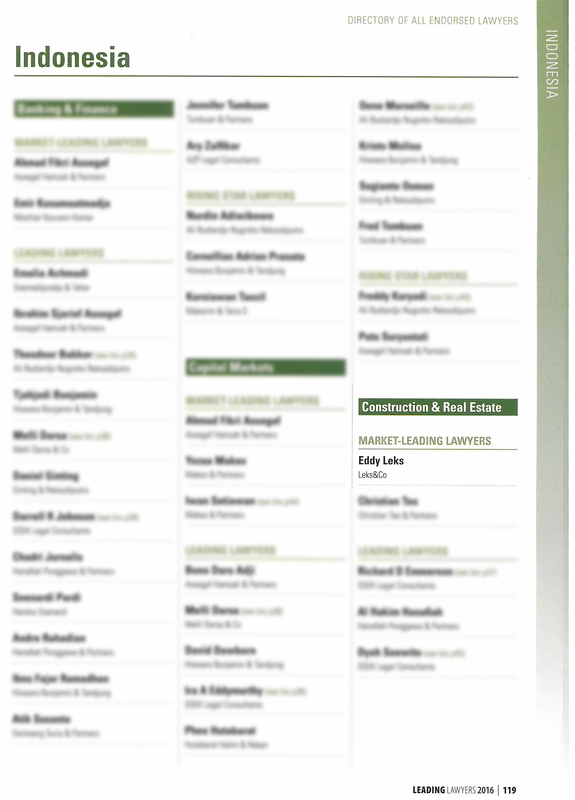 I am so glad to be listed as market-leading lawyer of construction & real estate by asialaw Leading Lawyers 2016 in Indonesia. Thank you very much to all our valuable clients who supported our firm continually. And congratulation for all leading lawyers in Indonesia who are also listed according to their field of areas. Keep up doing well!